What would you say if I gave you 11 reasons why the elections in 2010 will be the most important in the history of the United States? 1. What if I had told you in October 2008, before the last presidential election, that before Barack Obama’s first 100 days in office, the federal government would be in control of both the mortgage and the banking industries? That 19 of America’s largest banks would be forced to undergo stress tests by the federal government which would determine if they were insufficiently capitalized, so they must be supervised by the government? 2. What if I had told you that within Barack Obama’s first 100 days in office the federal government would be the largest shareholder in two of the US Big-Three automakers: Ford, GM, and Chrysler? That the government would kick out the CEO’s of these companies and appoint hand-picked executives with zero experience in the auto industry and that executive compensation would be determined, not by a Board of Directors, but by the government? 3. What if I had told you that Barack Obama would appoint 21 Czars, without congressional approval, accountable only to him, not to the voters, who would have control over a wide range of US policy decisions. That there would be a Stimulus Accountability Czar, an Urban Czar, a Compensation Czar, an Iran Czar, an Auto Industry Czar, a Cyber Security Czar, an Energy Czar, a Bank Bailout Czar, and more than a dozen other government bureaucrats with unchecked regulatory powers over US domestic and foreign policy. 4. What if I had told you that the federal deficit would be $915 billion in the first six months of the Obama presidency – with a projected annual deficit of $1.75 trillion – triple the $454.8 billion in 2008, for which the previous administration was highly criticized by Obama and his fellow Democrats. That congress would pass Obama’s $3.53 trillion federal budget for fiscal 2010. That the projected deficit over the next ten years would be greater than $10 trillion. 5. What if I had told you that the Obama Justice Department would order FBI agents to read Miranda rights to high-value detainees captured on the battlefield and held at US military detention facilities in Afghanistan. That Obama would order the closing of the Guantanamo detention facility with no plan for the disposition of the 200-plus individuals held there. That several of the suspected terrorists at Guantanamo would be sent to live in freedom in Bermuda at the expense of the US Government. That some of our returning US Veterans would be labeled terrorists and put on a watch list. 6. What if I had told you that the federal government would seek powers to seize key companies whose failures could jeopardize the financial system. That a new regulatory agency would be proposed by Obama to control loans, credit cards, mortgage-backed securities, and other financial products offered to the public. 7. What if I had told you that Obama would travel to the Middle East, bow before the Saudi king, and repeatedly apologize for America’s past actions. That he would travel to Latin America where he would warmly greet Venezuela’s strongman Hugo Chavez and sit passively in the audience while Nicaraguan Marxist thug Daniel Ortega charged America with terrorist aggression in Central America. 8. Okay, now what if I were to tell you that Obama wants to dismantle conservative talk radio through the imposition of a new “Fairness Doctrine.” That he wants to curtail the First Amendment rights of those who may disagree with his policies via internet blogs, cable news networks, or advocacy ads. That most major network television and most newspapers will only sing his phrases like state-run media in communist countries? 9. What if I were to tell you that the Obama Justice Department is doing everything it can to limit your Second Amendment rights to keep and bear arms. That the federal government wants to reinstate the so-called assault weapons ban which would prohibit the sale of any type of firearm that does not require the shooter to pull the trigger every time a round is fired. That Obama’s Attorney General wants to eliminate the sale of virtually all handguns and ammunition, which most citizens choose for self-defense. 10. What if I were to tell you that the Obama plan is to eliminate states rights guaranteed by the Tenth Amendment and give the federal government sweeping new powers over policies currently under the province of local and state governments and voted on by the people. That Obama plans to control the schools, energy production, the environment, health care, and the wealth of every US Citizen. I know – I know what you will say. That will never happen in America . Hopefully you realize the significance of taking the census away from the Commerce Department and placing it under the White House, where Acorn has been given broad authority to manage it. You Can’t Make The Wind Blow, But You Can Set Your Sails In Preparation…. A couple of years ago, I would’ve laughed this kind of writing off as “conspiracy theorist” stuff. Today, I look in disbelief at how quickly all of this has happened and am AMAZED at how the Constitution is completely disregarded while we all watch our Country being dismantled before our eyes! I believe this is all true. Watch closely and be alert! Be ready to defend our 1st and 2nd Amendment rights. It will be subtle, like the so-called “Fairness Doctrine”. Scary, indeed! Why is President Barack Obama in such a hurry to get his socialized medicine bill passed? They ignored his ultra-left record as a “community organizer,” Illinois state legislator, and Senator. Why were we duped, you ask? Because it is in the character and personality of an ego-centered Narcissist to be believed. They accept no contrary opinions. They have a 100% conviction in their own opinion and beliefs. They typically are well spoken and have a certain amount of charisma. They are adept at twisting and spinning any thought into their own mold. He rallied much of the non-Caucasian and youth vote. Why? Because he preached change. This element of voters either feel they needed change, or in the case of the young voters, they didn’t have enough experience to fully understand “change from and to what” but the charisma and rhetoric sold this “load of poles”. Now, the American people are starting to wake up to the truth. Barack Obama is a super likeable super leftist, not a fan of this country, way, way too cozy with the terrorist leaders in the Middle East, way beyond naïveté, all the way into active destruction of our interests and our allies and our future. The American people have already awakened to the truth that the stimulus bill — a great idea in theory — was really an immense bribe to Democrat interest groups, and in no way an effort to help all Americans. Now, Americans are waking up to the truth that ObamaCare basically means that every time you are sick or injured, you will have a clerk from the Department of Motor Vehicles telling your doctor what he can and cannot do. The American people already know that Mr. Obama’s plan to lower health costs while expanding coverage and bureaucracy is a myth, a promise of something that never was and never will be — a bureaucracy lowering costs in a free society. Either the costs go up or the free society goes away. These are perilous times.. Mrs. Hillary Clinton, our Secretary of State, has given Iran the go-ahead to have nuclear weapons, an unqualified betrayal of the nation. Now, we face a devastating loss of freedom at home in health care. It will be joined by controls on our lives to “protect us” from global warming, itself largely a fraud if believed to be caused by man. Mr. Obama knows Americans are getting wise and will stop him if he delays at all in taking away our freedoms. There is his urgency and our opportunity. Once freedom is lost, America is lost. Wake up, beloved America. 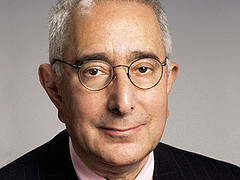 Ben Stein is a writer, actor, economist, and lawyer living in Beverly Hills and Malibu. He writes “Ben Stein’s Diary” for every issue of The American Spectator. The title “WE FIGURED HIM OUT!” does not apply to me. I knew all about him for over a year. I’m teed off at those who put him there, for being either too lazy or too stupid to know better. They may have ruined my country and yours. 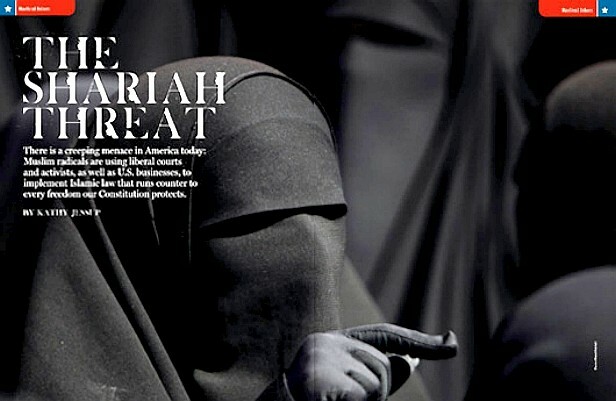 You must as an American FORWARD this to all, or you will wake up one morning and your freedoms are no longer there.